Endeavor is where professionals work together in a non-traditional space that fosters community, collaboration, and culture. With all the comforts of a modern office, and the flexibility to establish your own terms, we are a workspace made smart. We provide a collaborative workspace center with the hustle and bustle of working together in an environment that is productive and stimulating to people who like to work in groups. In this area there are two private offices set aside for phone calls and people are encouraged to use these offices for calls as needed for privacy as well as respecting the working environment of those around them. In the future Endeavor has plans to create isolated sound proof phone booths for those private phone calls. Endeavor also offers 26 private offices that are available for use on an hourly, daily, and monthly basis that provide members with additional privacy should they not want to work in a collaborative environment. Of these 26 offices no fewer than two offices will always be reserved for hourly and daily reservations. 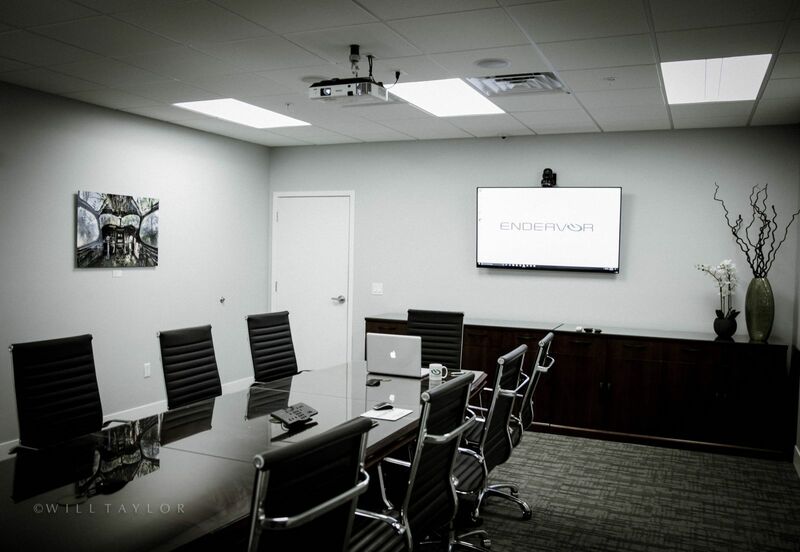 Endeavor believes everyone should have access to board rooms that are sure to impress their clients. 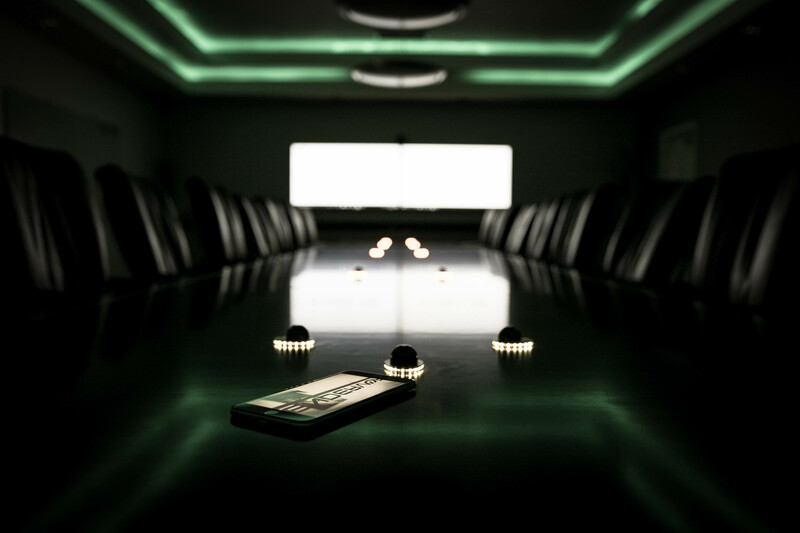 Both of our executive board rooms are stacked with the latest and greatest phone & video conferencing equipment, apple TV, 70" LED TV's, projectors, drink refrigerators, microphones, and luxury tables and chairs. Bringing a client into this room in person or video conference is sure to impress them. Endeavor also wants to foster a healthy and fun environment. Thats why we have a game room to help you unwind. We've worked out a deal with Chad Rogers former Twins Pitcher to come on Thursday mornings and train members for a 10.00 fee. We've also worked a deal with the golf center less than a mile from our facility to give our members the ability to utilize a driving range, 9 hole chip shot course, putting greens, and an 18 hole miniature golf course for a discounted rate. It doesn't end here though. Endeavor is continuously working to improve our space for our members. We are always asking ourself how we can keep adding value for our members. One of our most recent decisions it to help promote our members via our membership networks. It was determined that we could do face-to-face marketing for our clients at our networking events. To date we're effectively driving in leads for our members through our 12,000+ and growing network of relationships through chambers of commerce, bar associations, realtor associations, and other organizations we actively participate in. Successful entrepreneurs know the needs of their customers. They know what they want, when, where and at what price. At Endeavor, we’ve done the legwork, so you don’t have to. Come In. Sit Down. Get to Work. Had a long day at work and need to unwind? Check out World of Beer, Bar Louie, or the Cigar Bar in Gulf Coast Town Center. Need a place to stay? We've worked our some deals with local hotels. Check with us before booking to see if we're getting a better rate for you. Are you a member of Endeavor Innovative Workspaces? The staff is great!! The never say no to any request, they even fixed my computer when it stopped working. The answer to every question/request is, yes, we will get that done. My clients are always impressed and normally ask for information about the facility. The networking opportunities are fantastic, and I have been able to build some very positive relationships that have helped my business. The best decision I have ever made, I am looking forward to enjoying the benefits of Endeavor for a very long time! Stop by for a tour and find out why I am so happy. There’s just something about the atmosphere here that you just don’t get in other “chain” Coworking spaces. It’s nothing short of amazing! Game room is original and actually gets utilized! Showers onsite are a huge bonus, not to mention the monthly events that are a regular staple here. Waffle Wednesdays are a huge hit. Monthly Lunch and Learns, free coworking Days, popcorn machine, the best coffee and tea selections! Best part.... the members. It’s such a nice mix of business owners and entrepreneurs that just going to work us a way to network in itself. You must check out Endeavor! Great place for our office and employees. Highly recommended! Working in an environment with professionals that have similar goals, drive, and passion is truly inspiring. I've been running an international nonprofit that provides sick children in china with resources to get medical attention for almost two years. I travel to fort myers to see my fiancé about twice a month and I chose to work at Endeavor. The staff and members are incredibly supportive and so friendly, and the concentration of creativity and innovation in that space has amplified our operations. Going to work there every day is a genuine pleasure. Plus, the coffee and beer are really good! Worked for a couple of days out of Endeavor. Easy to find, great service and WiFi. Drinks and kitchen amenities were spot on. Try it for day if you get tired of bouncing around the various coffee shops, you'll be hooked for life. Endeavor is the perfect place for me to work! It has all the amenities I need and everyone who works here is super friendly. It's a very productive environment! The small marketing agency I work for calls Endeavor our bat cave. It has been a great place to work and network. We love it here. "Take advantage to the Endeavor Amenities "
Great collaborative space - we have four full timers here and are constantly finding new creative resources just steps away from where we sit. Added bonus? Good coffee. Endeavor helped us grow our business.. The support, encouragement and friendships we gained at Endeavor were absolutely invaluable. We will always be grateful for the help they provide us growing our business. 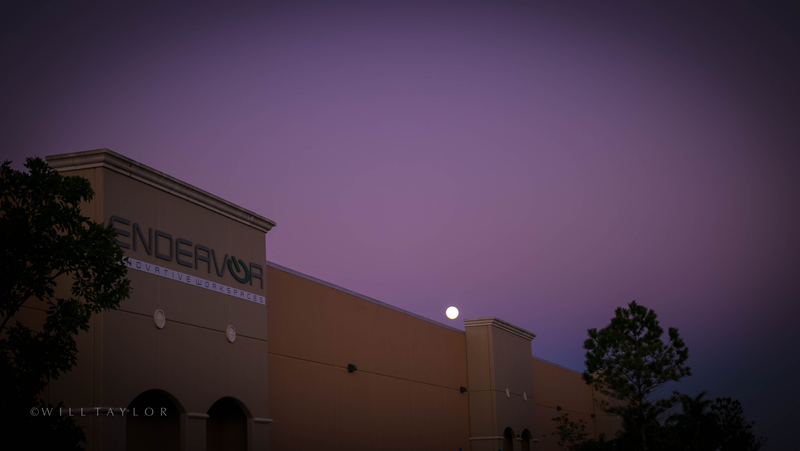 More than any other place I have worked Endeavor puts the focus on creating a community of collaboration and innovation. The energy of the space is impressive and it's not possible to leave without making at least one meaningful connection! I really enjoyed the days I worked on my side business at Endeavor. There are so many smart, forward thinking people in one space. Their enthusiasm and energy is contagious and I also enjoy all of the events they host. "The Best place in town"
Great creative space for any meeting or networking event! I worked out pf Endeavor for three months before having to move away. I had a great standing desk where I worked from both my desktop and my laptop. Blazing fast and reliable internet both wired and wireless. Finding a private room for video calls was never an issue. key card system made it easy to get in and out at all hours. The space had friendly people and was actively involved in engaging the community. Location is right next to the airport, i-75, and Gulf Coast Town Center, giving me a variety of restaurants, bars, and shopping to escape to at the end of my day. I miss this place!! Incredibly fast internet, great downtown location which is close to everything, diverse work environments to meet any style or mood and the most amazing people you will ever meet, add up to make Endeavor Innovative Workspaces the place to integrate your work life with other amazing professionals. Every time I visit I make an unexpected connection with someone who I can help or who can help me. "Great place for my start up!" I have big ambition and big goals. I am completely terrified to start my own business doing freelance graphic design focusing on trade show displays and big interior/exterior projects. That being said, being at the space alleviates so much of the startup stress I had the first time I did this whole self employed thing. Not only do I have a professional, amenity packed environment where I can meet with clients that is in a convenient location streaming with the fastest internet in our region, but I am also surrounded by people just like me. I know every client I've meet with there felt as if they were stepping into a professional environment. I feel blessed to have my office here. Endeavor was a gift from God to Southwest Florida. I can't wait until their satellite offices open up the west coast of Florida. I'll be using their space for meetings from Marco Island to Tampa. "Off site for my team"
"Open area where creativity soars"
Endeavor is a new concept to our area and long overdue for small business and remote professionals. It is an open area where positive work and creativity flows freely! It is very comfortable to work independently or meet clients! Good spot, good people. Large space that affords both privacy and socializing with other clients. It's definitely easy to stay on task in this stylish modern space! 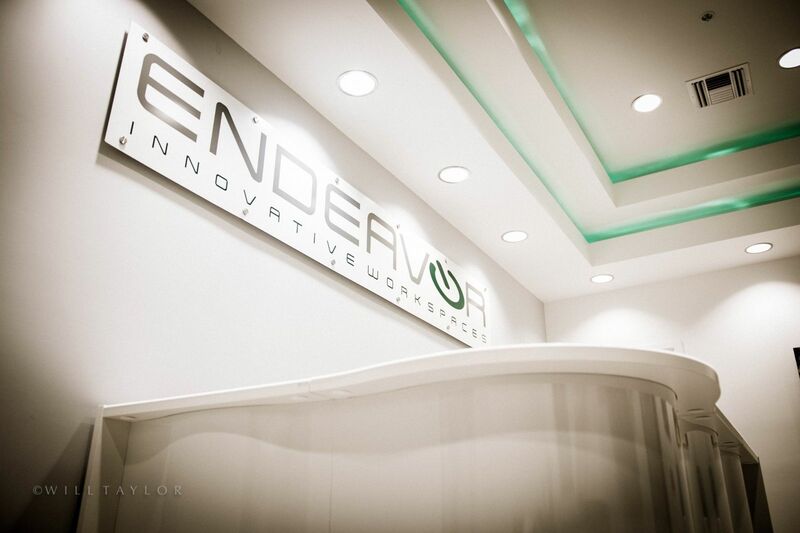 Endeavor is a forward thinking, creative environment where you can be surrounded by professionals. LOVE IT HERE!!! Great location with easy access to I-75, airport , restaurants, and shopping. A great place to get work done and meet friendly people. I travel all around the World for my company. I found Endeavor on my last visit to Bonita Springs and was pleasantly surprised. I’m here at least 4 weeks out of the year and Endeavor is where I get to work. Great environment, friendly staff, and lots of food options close by. This place is one of a kind and I’ve been to many co-working spaces around the world. "Remote workers dream come true"
I live and work remotely in Fort Myers as a software engineer for a aerospace engineering company. I have three spots in the collaborative work space I love to use, luckily my projects right now are all commercial projects and I don't have to worry about security clearance because I love working from Endeavor, it's way nicer than my own office. The internet is full fiber optic and Endeavor is located a mile west of I-75 right next to Gulf Coast Town Center, with nearly 40 restaurants I never have to worry about finding the right place, and most of the time Endeavor sends someone to a different restaurant each day to pick up orders if we want. This place fosters creativity and innovation, I'm so happy I've found my work home here at Endeavor. "Life saver on my trip"
I was traveling and had some issues with my team back in Melbourne. The hotel I was at didn't really have a space for me to work but suggested Endeavor to me. When I walked through the door I was in shock, the place was perfectly manicured and the working environment was conducive to my needs. They made arrangements for me to Skype with my team back in Melbourne and get my program back on track. They had everything there for me to use, two copy centers, a full kitchen, game room, co-working space, video conferencing, coffee & tea. This place is has prompted my team and I to ask for things around our corporate office. I'm with the chamber here is Southwest Florida and suggest for all our members to use this location for their conference room, networking events, and work space. I send everyone to Endeavor knowing that they will have the best experience in a well managed and extremely manicured business environment. This innovative idea has really taken the Southwest Florida to the next level! You feel ready to work when you enter Endeavor, it provides a community feel that provides creativity and teamwork. Wonderful amenities, fabulous work spaces and cutting edge technology here really gives way to creative "outside the box" thinking! Such a great environment, a fantastic addition to this SWFL! "Great environment that nurtures and inspires. " If you believe in the maxim that "you are who you surround yourself with", and you're trying to find a space that caters to growing businesses where the people around you are just as inspired as you are, than Endeavor is an obvious choice. You can't go wrong with someone like Ken Bupp. He is dedicated to your happiness. The concept is great. "Perfect Location for Traveling Professional"
Coworking spaces help with collaboration and provide you with all the tools you need to get your job done. I have purchased bulk day passes to work at Endeavor while passing through Fort Myers and have been satisfied every time. This allows me to finish my work while I am on the road and provides a clear head for the rest of my travel time between Marco Island and Sarasota. The space is well designed, the staff is friendly and knowledgable. I recommend it to any small teams or individuals working in or passing through Fort Myers, FL. "Lucky to find a place like Endeavor"
"Bringing the best and brightest under one roof"
This coworking space has brought together some great members and a location with great access to Gulf Coast Town Center, I-75, and US-41. This is a great place to experience collaborative working at it's best, and to meet interesting professionals from all over. Learning what individual jobs are is the most fascinating part of working at the Endeavor. Full fiber optic internet with a casual work environment. "Making Office Space Great Again!!!!" "Close to major interstate and Highway"
Great location with easy access. A great place to get work done and meet friendly people. Anyone in the region would be lucky to have a space here. Wonderful people, who are attentive to "coworkers" needs. It is not a place to work, but a place to find a "work" family. "A professional setting for your business"
I have been a member of Endeavor since their opening, occupying one of their private offices. The facility is top notch as well as the staff. They go above and beyond to make this a place you look forward to coming every day. I was previously working out of my home office that was full of distractions, and moving here has made my day much more productive and in turn, my business has thrived. Not only is this place loaded with the latest technology (business machines, fiber internet, projection screens, video conferencing with big screen TV's...this list could go on and on), but they also have outfitted the facility with a full kitchen, game room and showers (great for the early morning gym sesh), so I have all the comforts of home, as well. The location can't be beat being just off I-75 and Alico Rd. I encourage anyone looking for a place to work to come check out Endeavor Workspaces! My company uses Endeavor for their amazing board rooms. I can host multiple branches (18-25ppl) in one central location, have state of the art technology, and the accommodating staff at Endeavor helps me out with any incidentals. There are two glass boards and 2 big flat screen tv's connected to the Internet, great for presentations. The Endeavor staff had wonderful fresh ground coffee and bottled water waiting. Our lunch was ordered, delivered and cleaned up when we were finished so we could continue our meeting, and they were more than willing to scan a few documents I needed. When we returned the next morning, the room was clean and we were ready to begin again. Endeavor also has a nice kitchen, lounge and game room (with Golden Tee!) to give us a much needed break from our meeting. I highly recommend this facility. We will definitely be conducting our regional meetings here in the future. "Beautiful Office Space That Really Impresses My Clients"
I'm a real estate agent and I have to meet my clients for closings. I found Endeavor about 3 months ago and the value is unparalleled. This place is beautifully decorated with Walter Arnold Photography, the furniture is gorgeous, the staff and receptionist are warm and welcoming, and the meeting rooms are always well accommodated. I can't thank them enough for how impressed my clients are every time they show up to meet me. I've looked at all the spaces of this type in the area, this is by far the best. Competitive pricing too. Worth a look if you need flexible office space. This place is awesome, loved the atmosphere and the cowering environment was great! "Nothing like this in SWFL"
This place is one of a kind. They offer hourly, daily, and monthly options. The co-working area is fantastic! Highly recommend. "Executive Outcomes USA, LLC is VERY PLEASED to be enjoying office space at Endeavor. A+ in every aspect of their operation. " Due to the nature of our work (Credibility Assessment, as well as Security Consulting) we must travel thorough out the State of Florida, and meet clients. Executive Outcomes USA, LLC is VERY PLEASED to be enjoying office space at Endeavor Innovative Workspaces. We recommend Endeavor to any business person who must travel to meet their clients/customers, and meet with them in an office environment. 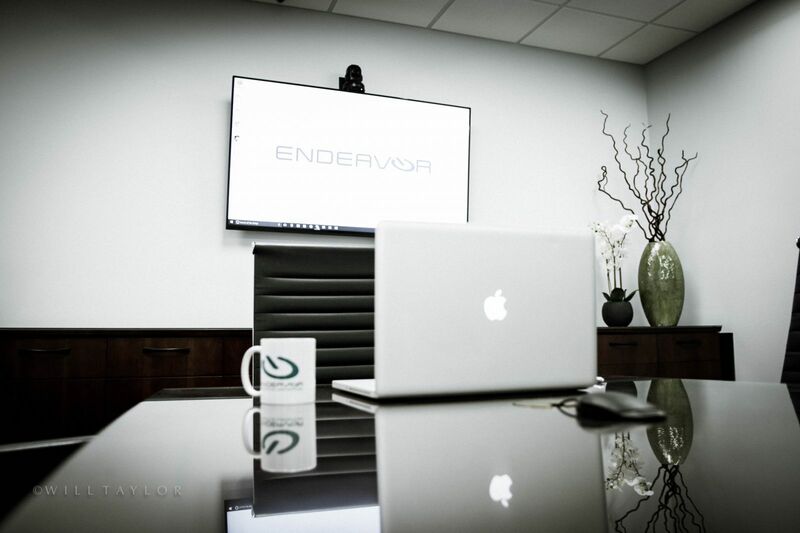 Endeavor offers a professional office setting, befitting the quality of clientele for whom we provide services. The staff at Endeavor is sharp, attentive to details and very friendly. Mr. Ken Bupp, who is in charge of the day-to-day operations at Endeavor, is very responsive to our operational needs. 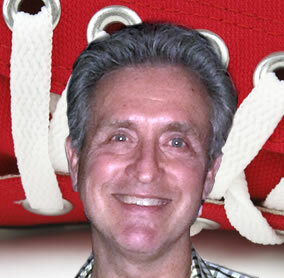 It is clear to see that Ken Bupp is a results-oriented individual who strives for the highest customer satisfaction. Endeavor Innovative Workspaces is on very close proximity to I-75. This makes our business travels more efficient. We give Endeavor the highest honors. 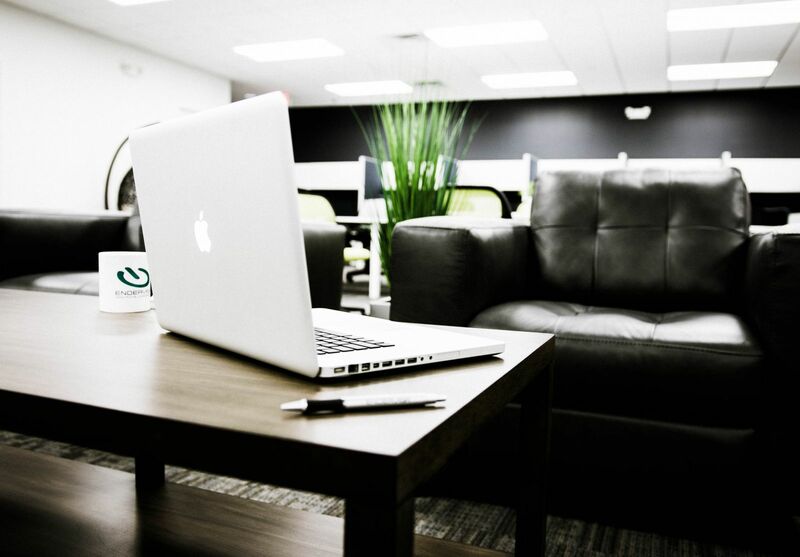 "One of the best work spaces in SWFL!" Looking for office space? Look no further. This is the most perfect space available to the public. Everything is top notch here . The owners are amazing and make you feel like family in this professional environment. It is also a great place to meet and collaborate with many other professionals. I would highly recommend Endeavor to anyone. I have to tell you, I LOVE our new office space. It is a fresh, exciting and vibrant space in which to work with colleagues and share our ideas. The staff worked with us to get exactly what we were looking for in an office and continues striving to please. I highly recommend it! "Amazing work space on a budget or in a pinch!" Love the friendly staff, the perks and the choice between an 'open' work environment or a private work environment. Wifi, gaming room, conference rooms are all really nice to have when I need too entertain clients, management, or train staff on new material. I enjoy the updated and clean office space which provides that extra professional aesthetic appeal. The environment afforded by Endeavor bolsters my confidence when I need to empress my colleagues. THANKS Endeavor!!! Everything at Endeavor is top notch. They have everything you need. It's a perfect place to have all your meetings and make your own business a success. I definitely would recommend them to everyone interested!! Quickly introduce yourself to everyone and attend as many networking meetings as you can in the first 60 days. Great for the traveling executive. A great gym, Around the Clock Fitness, is only 3 minutes away. Gulfcoast Town Center is just around the corner with shops and restaurants. not too far from the beach! Check out Wally's down the street... Glazed and Confused for Breakfast is unbelievable! 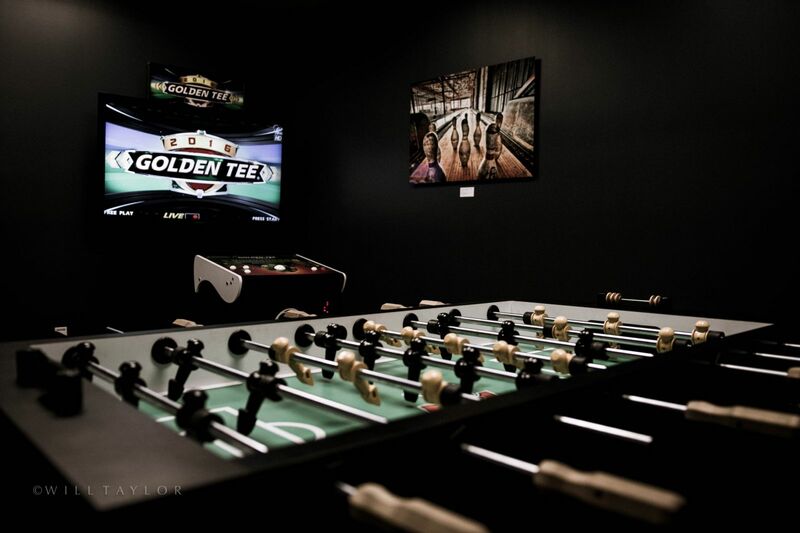 Check out golden tee in the game room! There are over 30 local and national restaurants all within a mile drive. Ask the site managers to pick up something for you when they go, they're awesome like that. Hit up BJ for a game of foosball! 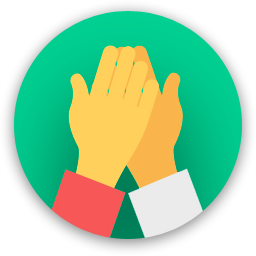 Get to know other Endeavor members - You'll all benefit from the collaborative community! Get to know Endeavor's other members! Get to know the other Endeavor members! Get to know other Endeavor members! full kitchen, game room, state of the art conference rooms, super friendly staff. Get to know Endeavor's members - You'll all benefit from the collaborative community! Get to know some of Endeavor's members - You'll benefit being in such a collaborative environment! Check out some Golden Tee when you're having a stressful day, tournaments are encouraged! Endeavor is pretty new, so if you need something not at your fingertips, just ask... they'll be gracious and deliver. Bring your laptop and set up shop, their full fiber optic internet is blazing fast!!! 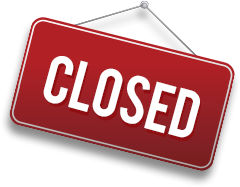 Endeavor Innovative Workspaces will be in touch with you soon to confirm. Endeavor Innovative Workspaces has received your membership enquiry and will be in touch with you soon.